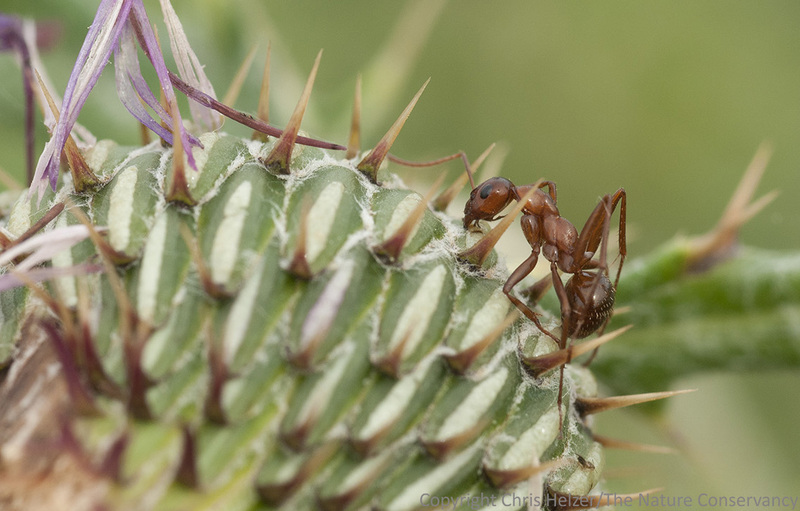 This entry was posted in Prairie Insects, Prairie Natural History, Prairie Photography, Prairie Plants and tagged ant, ants stuck to plants, ants stuck to thistles, killer thistle, sticky thistle, thistle by Chris Helzer. Bookmark the permalink. Giggles :-D. The ant who lost his head! Thanks for posting your interesting observations. Seed predation? Are the plants still excreting the protective resin when the flowers are dehiscing and going to seed? Seems from your observations the protection/side-effect is more common during the time the thistles are fresh and being pollinated. Perhaps the ants take the pollen grains? That could reduce fertilization pretty dramatically. Have you had the sticky portion of the bracts analyzed? 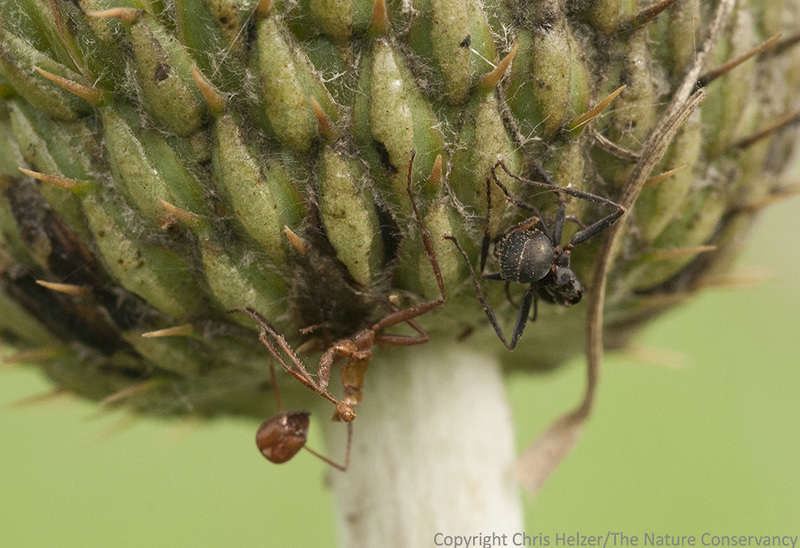 Perhaps it is something sweet that attracts the ants. 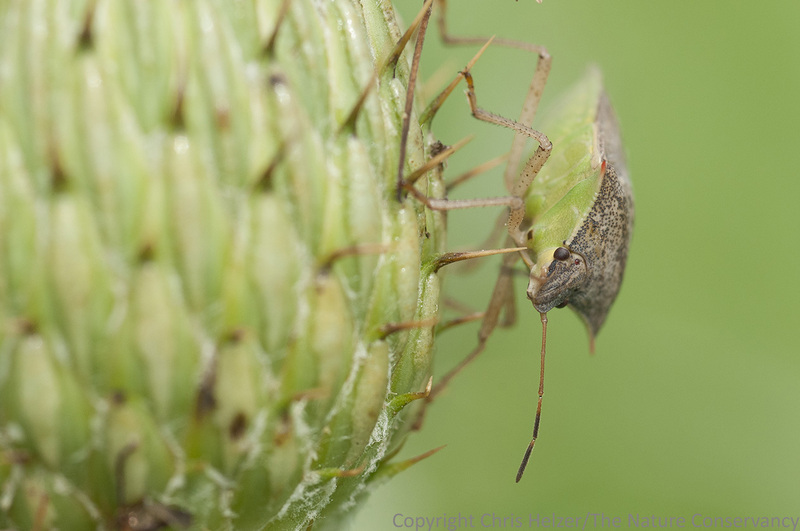 I’ve noticed this stickiness while collecting thistle seed but never thought about the connections…interesting. 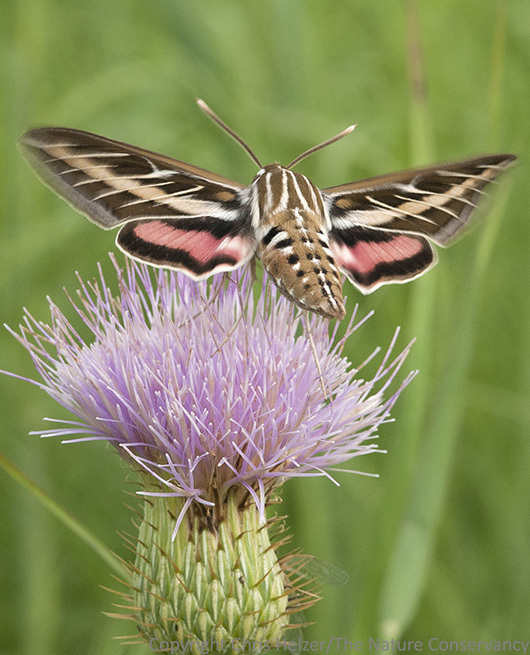 Your expertise with a macro lens, fascination with native ecosystems/plants/insects, and willingness to blog about your findings all come together as a real treat for the rest of us. Keep up the great work, Chris. 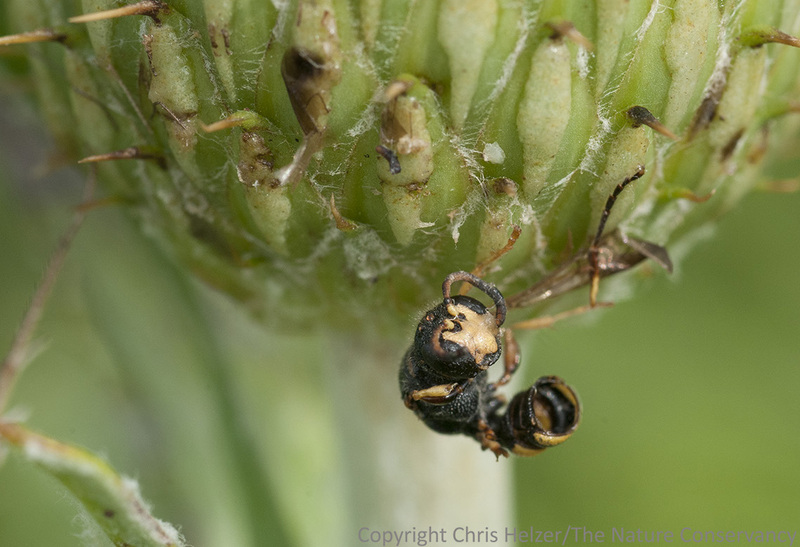 The picture with the stuck beetle made me wonder whether the real reason for the exudate might be to repel weevils that might bore into the side of the flower and lay their eggs inside. Just a thought. Here is an idea. 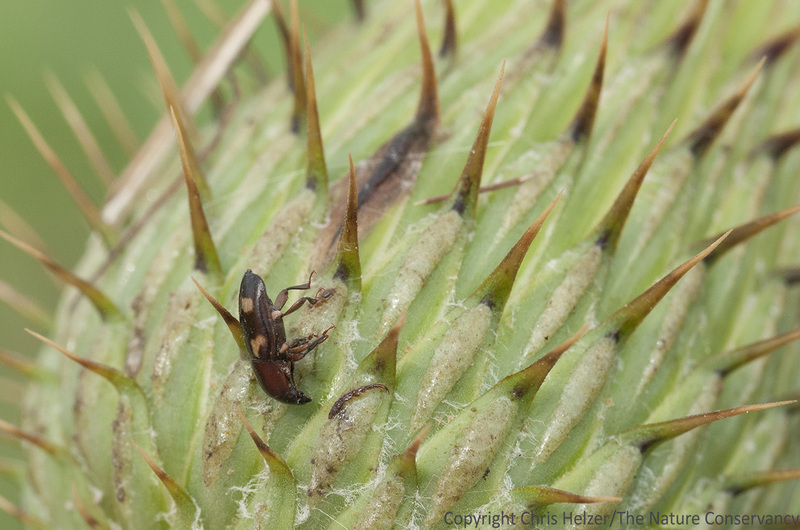 The insects that get stuck and die – attract other insects that are necessary to the thistle pollination/seed/life cycle?? Maybe? 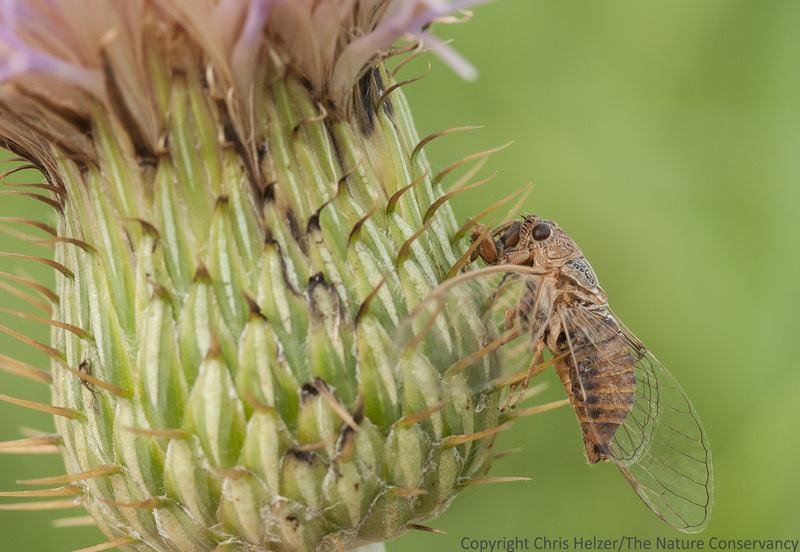 There are insects whose larvae destroy developing thistle seeds. My guess is the goo deters them form ovipositing, and the ants, etc. are just by-catch of this defense mechanism. Yes, I think we are on the same wavelength James. Bycatch is a good word for this.